Walking with others is an excellent way to get fit. It's also perfect for meeting new people. Being part of a walking club means that there are other people to socialize with and to motivate you, and you are regularly required to be present at a specific time and place. Before joining a walking club, find out how far the members generally walk and whether it is suitable for your current fitness level. You wouldn't want to find yourself committed to a 32-kilometre hike when you'd been anticipating a leisurely half-hour stroll in the park! Children are the world's best exercise aid. Why? They won't stay indoors because it's raining, sit down because they feel like a nap, or get distracted because they're worried about a deadline. Kids make activity fun and their enthusiasm is infectious. Consider going on a bike ride with your children or grandchildren, playing soccer with them in the park, kicking some leaves and splashing in puddles, throwing a football, flying a kite, playing hide-and-seek and more. With children around, the possibilities for fun (and exercise) are practically endless! Remember, too, that children need exercise as a break from watching television and playing computer games. If there are no kids in your home (or you're an empty-nester), have you thought about getting a dog? Dogs won't put up with excuses when you don't feel like taking them for a walk. Moreover, they offer companionship and a chance to meet other dog owners for friendship and conversation. 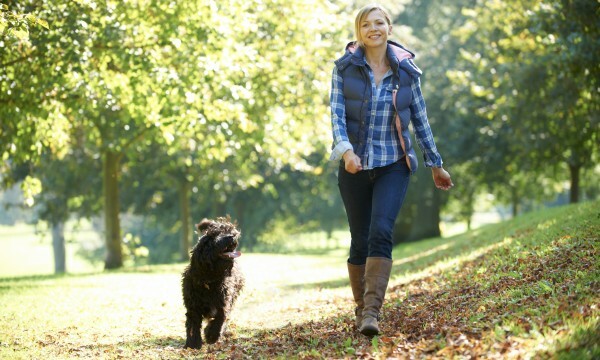 Studies show that dog owners are usually less stressed, get more exercise and have lower blood pressure and lower cholesterol levels than the general population. What's more, they tend to be healthier overall, with fewer minor health issues and other medical complaints. Skipping is good for the heart, bones, flexibility and coordination. Plus it's easy to do and doesn't require expensive equipment. 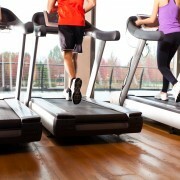 Ten minutes of skipping will burn between 70 and 110 calories. You've probably heard about yoga but have you ever tried it? 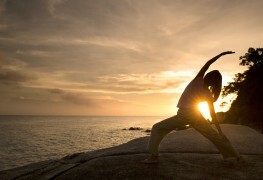 The benefits of this ancient practice, which combines exercise and spirituality, are well known. Yoga can help to boost cardiovascular fitness, lung capacity, muscular strength and flexibility. In addition, it's a very effective stress-reliever. One recent review of 70 studies worldwide showed that doing yoga regularly can help reduce numerous risk factors associated with cardiovascular disease. Who cares if you can't carry a tune? Singing exercises your heart and lungs, boosts your circulation, improves cardiovascular efficiency, increases oxygen uptake, enhances alertness and is a great workout for upper body muscles. Singling out loud can also help you feel more energized and positive about yourself. As well, it has been observed to reduce pain and help people to recover from strokes and heart attacks. The ancient Chinese technique of Tai Chi has been described as an art form as well as a type of exercise. Tai Chi involves a series of flowing, coordinated body movements sometimes known as "moving meditation," and aims to harmonize mind and body while developing flexibility, strength, balance, posture and calm. Since the movements are so gentle, Tai Chi is suitable for almost anyone, even people recovering from injuries or older people who may be physically frail. Tai Chi has been shown to be as effective as an aerobic workout in lowering blood pressure. Are these 3 trendy exercises right for you?